← Raising the threshold for pain: Gene transfer, gene enhancement, or gene doping? Genetic tests to scout out children’s athletic talent: are they ‘ethical’? New, open-access paper our for Sports Ethics & Philosophy! ‘Bend it like Beckham! The ethics of genetically testing children for athletic potential‘. 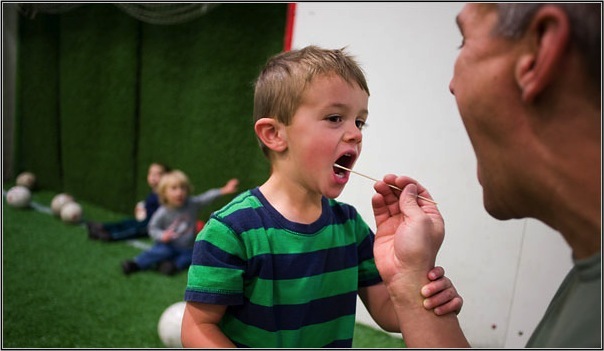 In this paper I analyse the use of direct-to-consumer (DTC) genetic tests, sometimes coupled with more traditional methods of ‘talent scouting’, to assess a child’s predisposition to athletic performance. I first discuss the scientific evidence at the basis of these tests, and the parental decision in terms of education, and of investing in the children’s future, taken on the basis of the results of the tests. I then discuss how these parental practices impact on the children’s right to an open future, and on their developing sense of autonomy. I also consider the meaning and role of sports in childhood, and conclude that the use of DTC genetic tests to measure children’s athletic potential should be seen as a ‘wake up’ call for other problematic parental attitudes aimed at scouting and developing children’s talent. This entry was posted in Bioethics, Ethics & Sports and tagged direct to consumer, DTC, genetic test, Silvia Camporesi, Sport Ethics Philosophy. Bookmark the permalink.